AV-over-IP is nothing new, but a growing interest in this technology among both integrators and customers is making AV-over-IP a growing trend in 2018. But what’s in it for us integrators? It was a hot topic at a recent international conference—which should provide us with some insights on the benefits. Let's dive in. AV-over-IP dominated the Integrated Systems Europe (ISE) 2018 gathering in Amsterdam, revealing the dramatic depth and scope of this growing market. Hundreds of participants showcased an abundance of AV-over-IP products, solutions, and enhancements. At ISE, protocols for running and managing AV multimedia content over Ethernet sparked a spirited debate. Dante, short for Digital Audio Network through Ethernet, leads the AV protocol market, with more than 1,300 Dante-enabled solutions available. But it's not the only option available. Other companies showcased alternative protocols such as Audio Video Bridging (AVB). There's also a debate on what network capacity should be used—1GB or 10GB? Companies at ISE were divided on the choices. These debates show that AV-over-IP isn't going anywhere anytime soon. Simplicity, speed, capacity, and quality. Dispensing with the lengthy process of installing and maintaining an indeterminate number of cables saves time and becomes less expensive. 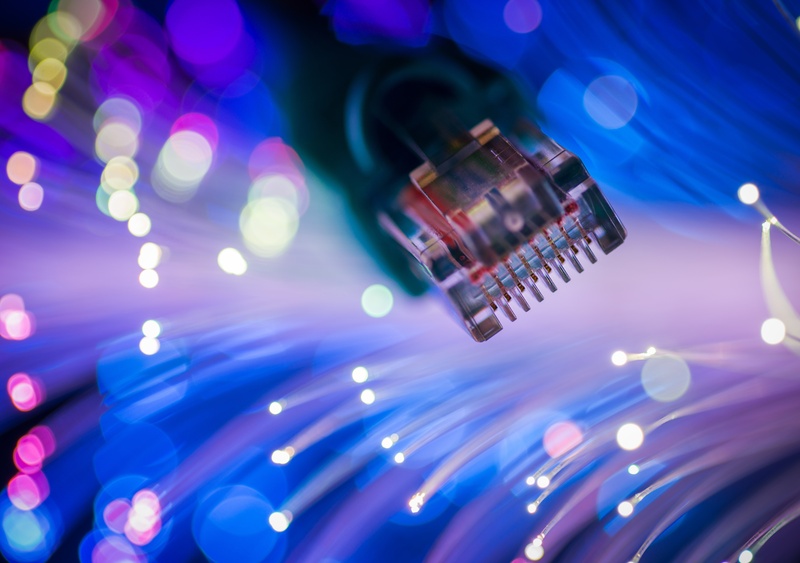 A single Ethernet connection facilitates many jobs faster and with a higher degree of quality, processing much larger amounts of video and audio than serial cables. IP control streamlines the troubleshooting of technical issues because the system centrally manages devices with fewer points of failure. The simple architecture reduces hardware cost and future maintenance needs. All this makes scaling integrations to suit your customers’ needs much simpler. Recent projects in the higher education sector make a strong case for AV-over-IP. NC State University explored IP-based options to recreate its library as a modern collaborative research center. The initiative transformed the library into a multipurpose information and media hub, complete with an immersion theater, a creativity studio that can subdivide into various rooms, each with its own AV functionality, and a digital audio distribution system with sound mixing capabilities. The London Metropolitan University reinvented its Science Center into a superlab with an AV-over-IP system. Featuring nearly 300 workstations, it is known as the most advanced science teaching facility in Europe. The Norwegian University of Technology and Science integration project boasts lecture rooms and classrooms with an advanced video distribution system capable of transmitting uncompressed 4K and UHD content with zero latency. The 12 lecture theaters, teaching laboratories, and workshops are equipped with cameras and screens for instant connectivity. Scalability. Scalability is fundamental to cost efficiency. AV-over-IP platforms can easily be scaled with additional IP switches to the existing packet switch network. Matrix switches enhance the availability of multiple sources and destinations. Sources include PC outputs, cameras, media players, and satellite boxes, while destinations can be laptops, PCs, smartphones, tablets, and receiver boxes connected to televisions and video walls. For example, a video presentation originating from a PC can be routed from an AV transmitter box to a video matrix switcher connected to numerous receiving devices capable of displaying the video in real time. Security. Unauthorized access to AV resources could impact confidentiality, privacy, integrity, availability, and the entire IT network. AV-over-IP systems don’t have to be scary—with a tight security policy in place. Strong encryption, passwords, firewalls, and authorization need to be implemented with a “Defense in Depth” approach. This concept requires multiple layers of security controls within a system to provide redundancy in case the first line of defense fails. For example, if an intruder gets past the firewall, he still needs a user name and password to get access to a protected system. Any device attached to the AV-over-IP network should have relevant security features and configuration, meet compliance requirements, and stand up to audit. Some networked AV models now have built-in encryption capabilities, with AV signals passing through dedicated encoders and received by decoders connected to the display or speaker.